AliExpress Alternatives For Dropshippers "Updated February 2019"
AliExpress is by far the largest directory of suppliers used by dropshipping e-stores today. On 11th November singles day, AliExpress e-stores slammed the online sales record when they amassed a massive $25.3 billion in a one day sale. But like all others, even AliExpress has its disadvantages. Even though AliExpress tracking works, it’s not as descriptive as it should be so we have to rely on third-party tracking services, this is a major downside for this service. Two of those disadvantages are significant to both online sellers and buyers. These factors, namely delivery times and delivery costs, lead to buyers abandoning carts and sellers losing precious revenue. Dropshippers are always on the lookout for an Aliexpress Alternatives “Updated February 2019“ to source product from. In today’s article, we take a look at some of the best websites like AliExpress that e-store owners can use to source amazing products from. We also sort through several sites like AliExpress wholesalers based on different products like those for clothing & apparel, jewelry etc. Looking for an online store for dropshipping? Get yourself a free trial of Shopify. Real Time User Reviews ? Founded back in 2007, wholesale-retail Company Ever Buying operates out of Shenzhen, Guangdong, China. In my opinion the ideal Ali Express alternative for most products. EverBuying specializes in electronics and contemporary fashion, usually following trends in the European & North American continent. EverBuying is also a leading wholesale solution for retailers from 200 countries. Moreover, looking at EverBuying’s massive line of electronics, I was amazed. There is an abundance of niche products you can build your eStore around. There is everything from cell phones, computing products, Apple accessories, and Car electronics to DIY hardware tools. eStore owners will love the diversity at EverBuying, allowing them to sell everything to products with brilliantly proceed compliments. For instance, Android phones and their accessories. EverBuying is also a brilliant option for dropshipping eStores that offer free shipping only products or free gifts. There are dedicated sections for Daily Deals, $0.99 items, and Promotions. You can find daily products to feature on your eStore, $1 items, and run special promotions every month. In addition, EverBuying provides a superb Clearance Center giving sellers access to limited items at end of seasons. Another aspect of EverBuying that I loved was its very detailed product pages, authentic user reviews, payment information, and shipping details. Every product page will inform you if the supplier accepts PayPal and ships to your country for free. I did notice that EverBuying does not provide direct contact to any suppliers. It’s a good aspect since you can negotiate per item cost with the website and not every single supplier every time. One of the biggest problem with EverBuying is that there are no inventory updates. Some products may go out of stock but will still be listed in their catalog. It is essential to confirm inventories manually with the website before listing any items from EverBuying’s catalog. You can register a free account on EverBuying or use Facebook login on the website. There is Live Chat to help and a lot of social & onsite channels to reach the website management. Based out of China, the self-proclaimed world’s leading ‘cross-border selling’ or dropshipping platform now serving sellers from over 200 countries. DinoDirect’s goal is simple, consider the world flat and offer all retailers manufacturing prices that retailing giants enjoy. DinoDirect believes in using technology & innovation to deliver the best goods to buyers at lowest prices. DinoDirect has warehouses at several locations including China, Singapore, United Kingdom and Hong Kong. This makes the platform a massive opportunity for dropshipping eStores to make use of. DinoDirect particularly caters in clothing, technology, and accessories. Their catalog includes over 22 product lines to choose from including clothing, accessories, electronics, smartphones, computing, vehicles, jewelry, leather goods and much more. Being honest, I have never traded with DinoDirect. I am still oblivious of the actual margins they offer on products. But the long list of categories to choose products from indicates that there are a lot of niche products that are available to discover here, especially in electronics. For example, there are a huge number of smart watch sellers to get quotes from. You will notice that a variety of shipping services are available for shoppers from around the world. Regional offices & warehouses allows DinoDirect to easily dispatch goods from the nearest distribution hub. You will also notice on most pages that shipping is free for North America and Europe. This is absolutely awesome for US, Canadian, and European drop shipping eStores. Dino Direct also offers a Clearance Centre for cheap goods, free gifts and pay shipping only products. You can also sign up to the service for free and enjoy lots of Membership Rewards from DinoDirect too. These include Coupons and Gift Cards you can earn by selling items on your eStore. One of the most popular and mentioned named in dropshipping supplier directories, Worldwide Brands, is renowned especially because it is based in the USA. Courtesy of a massive online buyer segment, fast delivery times, and lower delivery costs Worldwide Brands is an ideal choice for US based dropshipping. Worldwide Brands is a wholesale directory designed specifically for online sellers. The unique attribute of the platform is its 100% certified directory of top level suppliers. Established with the mission “Linking People with Opportunity”, Worldwide Brands believes small scale entrepreneurs are entitled access to the same wholesales employed by professional retailers. The service also promises no middlemen so you deal directly with manufacturers or wholesales. With Worldwide Brands it doesn’t matter if you sell over Shopify, Amazon, eBay etc. or on your own eCommerce store, there are over 10 million products you can choose to sell. Source thousands of products for general purpose e-stores, or find products for niche audiences, Worldwide Brands has you covered. Another great benefit of Worldwide Brands are its free educational resources to help entrepreneurs get acquainted with the eCommerce industry and its practices. One resource I found certainly helpful was their scam alert page that educates prospect online sellers about online supplier scams, so do have a look through it. Other brilliant resources include video tutorials, a blog, and free e-books. Visit Worldwide Brands today to discover its amazing benefits, a huge product catalog, and a 100% verified supplier directory. Currently, life time membership for Worldwide Brands is priced at $299, a brilliant price to pay for the superb features offered. Found your favorite supplier? Time to start selling! Setup your free Shopify store and start selling dropshipping products today. Get a free 14 day trial for Shopify by hitting the button below! Wholesale2B is a USA based wholesale supplier directory offering close to 2 million products in its catalog. Primarily, Wholesale2B is a certified supplier & verified products directory. In my opinion the first AliExpress alternative that you should try out if your business is based in the North American continent. You can search through hundreds of wholesale suppliers offering over 2 million products in their catalogs. After latest additions, Wholesale2B is now a leading provider of product data & descriptions, dropshipping tools & management systems, and eCommerce support services. Real time supplier ratings, product additions, and user reviews make the experience very trustworthy. The unique aspect of Wholesale2B is that it’s a complete dropship solution for sellers. Managed by a team of experienced business professionals, Wholesale2B manage their own data center, design their own applications, handle ordering systems and returns management. The platform provides vast integration with top eCommerce platforms including Amazon, eBay, BigCommerce, Shopify, WooCommerce plus many others. Wholesale2B offers a superb all round solution equipped with automatic inventory management, and order management making the dropshipping process even easier. These are excellent features for Shopify sellers who spend on expensive inventory & order management apps. Ordering & inventory control is very simple through the Wholesale2B dashboard, allowing automatic processing. There is one drawback of letting Wholesale2B handle your orders though, they charge 3% + $2.5 per order for transactions. Wholesale2b has a highly skilled professional team involved in maintenance of data centre, building & designing applications, plus handling orders returns & exchanges. With a team of highly experienced professional you are in safe hands. The superb knowledgebase available on the Wholesale2B website also a great place to find answers to both basic and advanced queries. Wholesale2B offers pricey but very convenient subscription plans with all features included. There is a dedicated subscription no matter which platform power’s your eCommerce business. Just in case you have your own website and hosting service, no need to fret. There is also a subscription plan only for using Wholesale2B tools and listing products. Compared to other AliExpress, Wholesale2B offers fewer products & hence categories. But, over 10,000 products per category is still massive for dropshipping e-stores operating in niche markets. The platform offers products in diversified niches, allowing sellers to pick out the best products with amazing margins. One of DOBA’s leading features is the Supplier Scorecard, exclusive to the platform. DOBA ensures that suppliers have been evaluated for reliability and are trustworthy. Sellers can evaluate significant factors including order processing times, shipping times, recent updates, fulfilment ratios, shipping and many other factors when choosing a supplier. Furthermore, DOBA’s integration ability with major shopping cart platforms makes it a brilliant alternative to AliExpress. DOBA can easily integrate with Shopify, BigCommerce, Amazon, eBay, Volusion, WooCommerce and hundreds more. DOBA provides sellers APIs and data export integration for over 100 eCommerce cart platforms. Looking at the product catalog I realized it’s really well laid and easy to navigate almost two and a half million products. Sellers can browse through 9 niche categories or click the ALL option to see all trending products in the catalog. In addition, in house experts at DOBA pre-evaluate high–margin, trending products to cut down research times for sellers. Not only does DOBA provide product recommendations, it offers complete inventory management tools to operate your business with peace. Not only can you organize product selections to order but also get real time inventory updates, while bale to create low inventory alerts through the dashboard. DOBA is in no way a “sell a subscription service”, hence puts great emphasis on educating entrepreneurs and its members. Subscribers get in-depth training & consultancy from DOBA’s in house experts. DOBA resources section offers latest whitepapers, brilliant infographics, and business guides for its members. In addition, they also offer a daily updated blog for latest trends, news, and changes in dropshipping & eCommerce. All the above features complimented by an elite support team makes DOBA truly unique amongst other AliExpress alternatives. AliExpress does offer a massive range of clothing products, but as good and decently priced items are buyers have certain issues. European buyers are usually put off by longer delivery times and extra delivery costs. European eCommerce businesses hence look for suppliers that are close to their buyers. If your business specializes in the clothing niche, then a great alternative for AliExpress clothing can be found at BrandDistribution. Brand Distribution is dropshipping suppliers directory aimed primarily at fashion, clothing & apparel. So why did we chose is as the ideal AliExpress alternative for clothing? Listing everything from branded clothing & apparel to shoes, bags, accessories and seasonal gear, Brand Distribution is probably the best option for dropshipping e-stores based in Europe. Do remember that currently Brand Distribution only ship to European destinations, with a proper pricing schedule for sellers. There are excellent benefits that accompany BrandDistribution’s very expensive subscription. The first of these, Brand Distribution lists over 500,000 clothing products with new one updated daily by subscribers. The website also provides superb professionally edited photos for all product listings. This is complemented by product descriptions available in 5 languages namely Italian, English, French, Spanish and German. This ensures that you never have to order samples to carry out expensive photo sessions, while selling to a global audience with multi-lingual product descriptions. Brand Distribution also offers excellent delivery & shipping services, with Europe being its largest market. Many of the suppliers will also be willing to ship to international markets, obviously for more delivery fees. Another great benefit of Brand Distribution is its real time inventory updates, quickly informing you of short in stock and out of stock items. Browsing through hundreds of available options I discovered United Kingdom based wholesale supplier, TheWholesaler. The website is primarily a business directory designed for retailers to connect with wholesalers from several industries. The best aspect, the website is free to use and there is ABSOLUTELY nothing to pay. The Wholesaler offers a vast listing of clothing & apparel wholesalers based across the UK. Based in the UK, The Wholesaler, in my opinion, is a great dropshipping alternative for AliExpress clothing. Not only is there a massive directory of suppliers listed on the website, there are proper descriptions and ratings for each supplier. The Wholesaler directory also provides a dedicated section for dropshipping eCommerce businesses. There aren’t too many suppliers available in this section, so it’s best to use the wholesalers’ directory instead. Sammy Dress is a globally recognized clothing, apparel, and accessories wholesaler, and a similar website like AliExpress for clothing. There is good news and bad news for dropshipping sellers who wish to work with Sammy Dress. The good news is that yes there is an official dropshipping program, the bad news there are rules to qualify as a VIP Seller. Sammy Dress offers some great benefits including one of the largest in trend fashion catalogs for online sellers. The dropshipping wholesaler also adds new trending and latest product every day, a great benefit for apparel eStores. In addition, Sammy Dress offers factory prices to sellers allowing them great margins and opportunities for long term business. The platform claims to offer the lowest prices in its 200,000+ products catalog. If you qualify as a VIP seller with Sammy Dress, they offer even better prices for sellers who can confirm a large number of orders beforehand. One of SammyDress.com’s most attractive features is the variety of delivery service available to sellers. The platform offers popular services including UPS, FedEx, DHL, plus several other leading global carriers. Do keep in mind, sellers with fewer orders will incur higher shipping costs. In comparison to AliExpress, Sammy Dress offers in-house packaging to ensure global standards are met. One massive advantage that Sammy Dress has over AliExpress is its three distribution hubs in Asia, the USA and Europe. Depending on buyer location, the platform dispatches goods from the nearest warehouse ensuring better delivery and shipping that AliExpress. Another brilliant aspect of Sammy Dress is its 30 day warranty & return guarantee. Since the company ensures Quality Control and Quality Assurance checks, they promise highest quality products. There are promising reviews about Sammy Dress support services, so we will go with a positive impression for the Live Chat and Email Support services. Sammy Dress is a very attractive platform to replace AliExpress if you feel it doesn’t offer what your audience demand. There may also be an issue with delivery & shipping times that Sammy Dress mediates with its warehouses & distribution hubs located across Asia, the USA and Europe. In my opinion a super alternative for AliExpress clothing sellers. Spanish based GearBest is a B2B eCommerce platform that provides buyers access to clothing, footwear, watches, handbags, electronic gadgets, toys, and office equipment & supplies. Gear Best offers a great selection of latest footwear trends, making it an ideal website like AliExpress for shoe shopping. There is decent collection in the shoes category with products for both men and women. Sellers can choose from a variety of casual, formal, and athletic shoes to publish on their eStores. A great filtering menu allows you to sort items by price, material, function, seasons, colors and several other filters. There is a massive variety of shoes to choose from with over 2700 products in the ‘Women’s Shoes’ category alone, while there are close to 3400 products in ‘Men’s Shoes’. Good news for dropshipping sellers is that GearBest offers its own associate program. Products are brilliantly priced and very competitive, probably because they use the same suppliers as AliExpress. Bad news is that GearBest uses the worst possible standard mail delivery services. You can always go for faster more expensive shipping, but that only works with larger orders. I did read here that delivery to Europe is faster than that for the USA & Canada. A good website like AliExpress for shoes sellers with niche eStores can use. BangGood is a Hong Kong based online retailer that deals in a large number of products. It’s like a true alternative to AliExpress since it offers a very huge variety of products and product categories. Bang Good offers multiple product categories like AliExpress and thrives upon providing great products. The service is great and the customer support also works 24/7 to help solve all your issues and concerns. Bang Good also provides great wholeselling options and also dropshipping for its users. If you are looking into doing dropshipping then Bang Goog is definitely a great choice as an alternative. It provides a great dropshipping infrastructure for its users. The dropship management center provides tools for eBay management, download center where you can download the images for any of the products on the site, and an API that you can use on your own store. If you want a great service for your dropshipping business then Bang Good is definitely a great choice as it provides the best tools for dropshipping businesses. They also ship products from their European and American warehouses which makes it easier for dropshippers/sellers from these regions to get their products quickly from the website. Visit Bang Good right now to check out their amazing collection of products and choose your next best selling product within minutes. Another great alternative to AliExpress is Dealextreme. This online retailer provides thousands of products from numerous different categories. Best of all, Dealextreme thrives upon providing the lowest prices on good quality products. It’s a Hong Kong based retailer that provides a large range of inventory that you can choose from. If you are looking to start an online store with just a few products or want to dropship numerous products then DX is definitely another great alternative to AliExpress. They provide a great knowledge base on everything dropshipping. They provide resources like downloadable catalogs, etc for mass orders which helps dropshippers place numerous orders at the same time without having to waste a lot of time. There are over 300,000 products available for you to choose at DX. All these products come with the cheapest price tags you will find on the web. 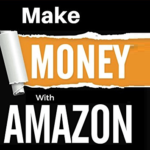 This means you can make great profits drop shipping these products at a killer margin. The US warehouse option lets you order stuff directly from their American warehouse which cuts down on shipping times for US suppliers. So, if you are dropshipping in the US then this is the best option for you. They also free shipping worldwide which gives you another great way to provide a satisfactory service to your customers. You can even charge for the shipping which makes for extra profit for you. DX is a great alternative to AliExpress and provides a wide selection of products for you to choose from. If you want to dropship then it’s definitely worth a try. Light in the box is another great site like AliExpress that provides a huge collection of products you can sell. If you are into dropshipping then Light in the box is a great alternative to AliExpress. They also offer a wholesale program where you can source products in bulk on much cheaper rates or you can just stick to the main site and dropship products from the available categories on an order-by-order basis. Light in the Box is definitely an amazing alternative to AliExpress and provides reasonable rates and an amazing service. Shipping is available all-over the world and shipping times are pretty much comparable to that of AliExpress. So, if you are looking for another alternative to AliExpress then this is a great site. Geekbuying is like an online paradise for all the geeks out there. This online retail marketplace is filled with all the cool and nifty gadgets and electronics out there. If you have an online electronics store then Geekbuying is the perfect alternative to AliExpress from where you can source all your geeky gadgets without much hassle. The prices are also very reasonable. Geekbuying is all about gadgets and gizmos and you can buy almost any type of electronic device from there. These products also offer a great margin as long as you know your audience. You can source anything from smartphone to VR technology. Here are the categories available on this site. As you can see there are numerous categories available on Geekbuying and you can pretty much dropship anything you want from there. From Apple accessories/cases to tablet PCs, almost everything is available for you to dropship. Geekbuying is a much better alternative to AliExpress if you are a gadget and gizmo dropshipper since you get a huge catalog of electronics to choose from. Lightake offers a lot of different products, but ones that get the most attention on the site are magical cubes and rubik’s cubes. These cubes are mostly in demand and lightake offers hundreds of different variations and types of cubes on the site. Not only cubes, but Lightake also offers a bunch of other products from numerous categories. The shipping timings are improving every day. Most buyer’s in the past mentioned very slow shipping timings, but recent reviews states that the company has improved its shipping a lot. Lightake offers products from a plethora of different categories and these include the following. As you can already see, Lightake has a specialization in providing mostly toys and other entertainment items. So, if you are looking for an AliExpress alternative that provides you with such special items then Lightake is definitely the place for you. TinyDeal is another great website where you can buy different products for your online store. If you are looking for a new dropshipping supplier that’s also an alternative to AliExpress then TinyDeal is definitely worth a look. It’s a great Chinese ecommerce platform that rivals AliExpress in different ways. You will often find high-quality items for dropshipping at TinyDeal. Also, if you are in the Adult niche then you will be glad to know that TinyDeal offers a large variety of adult items on their platform that you can sell. Here are all the categories that are available on TinyDeal and you can buy a plethora of different products under these categories. Each category is further divided into multiple sub-categories and offers hundreds and thousands of different products. TinyDeal also offers worldwide cheap shipping that comes in handy for dropshippers. The shipping timings are quite good and provide your customers with a satisfactory service overall. Oberlo is no longer just a tool to import dropshipping products from AliExpress. It’s evolved into something bigger and better that helps dropshippers from around the World start their businesses without any hassle at all. Oberlo now offers their own list of suppliers that are personally vetted by the company and guarantees top-tier service through these top suppliers. With Oberlo Verified, you’ll never need to worry about finding exceptional suppliers because they have already picked the top suppliers for you. These top-performing suppliers in the Oberlo marketplace have been providing the highest quality service for merchants over a sustained period. So, Oberlo now provides a great alternative to AliExpress. They’ve handpicked suppliers to ensure highest of qualities and you will find suppliers for almost every category on their marketplace. If you want the easiest way to dropshipping then this is definitely something you should look into. Tmart is an online shopping store where you can easily purchase any Chinese products similar to AliExpress. It provides shipping to any country in the World with very minimal shipping charges. It is definitely one of the best alternatives to AliExpress in terms of product variety and quality. You can also easily become an affiliate partner of Tmart and earn money by promoting all the products available on their online store. Tmart is completely legit and fraud-free so you can proceed to shop online with them without any problems or hesitation. You can find multiple types of products on Tmart. It is not limited to any specific types of products instead it offers all types of products. Here are all the different categories available on Tmart and you can find a plethora of different product in each category. All the products are reasonably priced and most of the sellers offer highest quality items. Tmart is definitely one of the best alternatives to AliExpress so if you are looking to switch from AliExpress then this is one of the best options. DHGate is a close alternative to AliExpress, as it offers similar range of products and allows easy dropshipping features. The prices are also close to what you will find on AliExpress, allowing new store owners to compare them and evaluate profit margins. Most of the storeowners on DHGate are from China, Taiwan, Hong Kong, Singapore, and other Asia Pacific countries. Each store has its own rating system, just like AliExpress. Therefore, if you are going dropship from DHGate, you can check a store’s rating and select one with most positive feedback. The similarities don’t stop there. DHGate offers ePacket shipping facility to buyers. So it takes the same amount of time to deliver a product as it would take from AliExpress. As for the payment options, DHGate supports PayPal. I hope you enjoyed our list of the best dropshipping alternatives for AliExpress. In coming months we will be updating this list based on new platforms that come out. In the meantime browse through these amazing dropshipping suppliers & wholesale directories. Find the best products, manage inventory & orders, and connect to your eCommerce platforms in a click with our top rated AliExpress alternatives. Thanks for the tips but you say this is up to date, yet Everbuying closed in June??? Thanks for pointing that out. We totally lost track on Everbuying closing down. We have fixed the issue, thank you again for letting us know. Nice Article. thank you for the sharing this much information. it will really help the drop shippers. Thanks for all. Do you know a agent to ship order from china ? I really want to sell on Amazon but I don’t know where to even start. I’m looking for an online store that offers fast shipping times. Any good alternatives to AliExpress?